Scottish Nationalism: ambivalent about national independence? The continued rise of the SNP has led to increased metropolitan suspicion and a growing backlash. What is the content of the SNP’s nationalism? Nepal: Whatever happened to the class struggle? Chris Walsh reviews the Scottish Ballet's production of a classic. Condition of the Working Classaims to update Engels’ classic. Elaine Graham-Leigh talked to Deirdre O’Neill of Inside Film about the project and the relevance of Engels’ work today. On International Women's Day, Tansy Hoskins suggests some great radical books which have inspired movements for social change. Black History, Black Struggle, a recent issue of the journal Race and Class, offers an important opportunity to reassess past struggles against racism in the UK and the US, argues Faduma Hassan. How socialists relate to the working class has always been a source of tension within the socialist tradition. Chris Bambery suggests that the early years of British Communism provide lessons that are still very relevant to debates today. The development of capitalism entails two complementary processes. The first, explored in MHW 54, is competitive capital accumulation. The second, explored here, is the making – and continual re-making – of the working class. Higher education is often presented as a road to opportunity and the route to a more prosperous or equal society. But would more graduates bring greater equality? The revolutionary processes in the Middle East cannot be fully understood without an analysis of the role of the Gulf states in the global economy, and as integrated into the regional construction of US power. The debate about the nature of the contemporary working class is critical for anyone who wants to see radical change. Elaine Graham-Leigh reviews two controversial books on the subject. 'Chavs' is a much talked-about, even fashionable, book. It is therefore tempting to decry it as over-hyped rubbish. Frustratingly for the polemicist in me, it is actually very good indeed. Owen Jones is an extremely capable and engaging writer who has done his research. His book is full of relevant insights from politicians, writers, campaigners and academics, with generally well-chosen examples from media and popular culture to support his points and a light sprinkling of statistics to give the more sociological passages some clout. It is gloriously free from academic jargon and the dead hand of stale far-left rhetoric, without being politically or intellectually compromised one bit. In recent weeks the author has been in a whirlwind of media engagements, not just promoting the book (though publishers Verso must surely be delighted at the attention) but also exploring the important issues - about class, media, politics and more - it raises. For the purposes of reaching a wide audience and generating public debate, it helps enormously that the book has an eye-catching title and cover, especially as they articulate a position at odds with orthodoxy. It also benefits from having a Big Idea. Actually, there are two big ideas. The obvious one - but actually the less important - is that frequent and widespread talk of 'chavs' is an expression of class prejudice and contempt. The subtitle, 'The Demonization of the Working Class', alludes to this. It's this element that has drawn most media attention. The common deployment of 'chav', and everything which accompanies it, can be seen as a way of stigmatising, rubbishing and ridiculing those who are often regarded as an 'underclass', dependent on benefits and socially marginalised. Such contempt is bad enough, but Owen traces how this demonisation is linked to a bigger rejection of the concept of a 'working class' altogether - and with it any sense of positive values, pride or collective identity associated with the working class. So the second big idea - an idea that is normally totally excluded from all mainstream discourse - is perhaps even more outrageous than suggesting chav-bashing is a form of class prejudice. The book argues that we still live in a society shaped by class divisions and, more particularly, we still have a sizable working class. Perhaps, Owen daringly suggests, we might even gain from a kind of politics which talks openly about class and unashamedly champions working class interests. Expressing distinctive and easily understood, but rarely articulated, Big Ideas is helping 'Chavs' get wider attention, as happened with 'The Spirit Level' (that book's authors, Richard Wilkinson and Kate Pickett, are quoted on the back). Just as 'The Spirit Level' popularised important research showing that economic inequality has a huge influence on a wide range of social ills - and desperately needs redressing - 'Chavs' can hopefully establish, beyond the left, an understanding that class may be fundamental to modern British society and provide the basis for a different sort of politics. 'Chavs' isn't just about attitudes. It's also about the realities of class society: life for those near the bottom of a grossly unequal, hierarchical society. It makes the link between these two things. Stigmatisation of working class people, blaming the poor for their poverty and the ideology of a 'classless society' all help excuse and justify extreme social inequality. A deeply unequal society depends, for ideological legitimacy, on demonising the working class. 'Chavs' is therefore complementary to 'The Spirit Level': it goes a long way to explaining how British politicians get away with allowing our profoundly unequal society to become yet more unequal. Owen is also aware of the relationship between institutions - especially in media and politics - and popular attitudes. In the same way that institutional racism feeds popular racist attitudes, it's true that media representations of 'chavs' and the language (and indeed policies) of politicians underpin much of the casual 'chav-bashing' in British society. The existence of inequality itself is also a factor here. When some people live privileged lives that separate them completely from less advantaged sections of society, we see a flourishing of middle class prejudice and contempt for those who are both feared and seen as ridiculous. Throughout the book, the author's awareness that class, inequality and work must be taken seriously in analysing society are extremely refreshing. When I was half way through I felt slightly disappointed at the lack of any real probing of what the working class actually is in today's Britain. How do we define 'working class'? What is its composition, and how is this different from previous eras? But in the middle of the book there's a chapter called 'We're all middle class now' which takes apart the popular myth referenced in that chapter title. A kind of economic analysis with a human face, it outlines the shape of today's working class, influenced by de-industrialisation and the rise of service industries. A strength of the book is its dismissal of the notion that we're divided between a large middle class and a minority underclass, with no such thing as the working class anymore. Owen tentatively offers a definition of 'working class' - roughly based on the classic marxist analysis, but tied in to contemporary society - fleshed out with examples of the realities of today's world of work. Owen has rescued the working class from the margins. I'm not sure he's entirely rescued work - as a central element of people's lives, and worthy of serious study and political discussion - along with it, though this section of the book certainly sets us on the right tracks. There are even comments on the trade unions and the challenges of unionising newer workplaces in often difficult circumstances. It's an understanding that runs counter to the dominant trends, over many years, in the Labour Party (of which Owen is a very left wing member). There is an obsession among Labour leaders with seeing the working class - if such a category is accepted at all - as something for individuals to escape from. 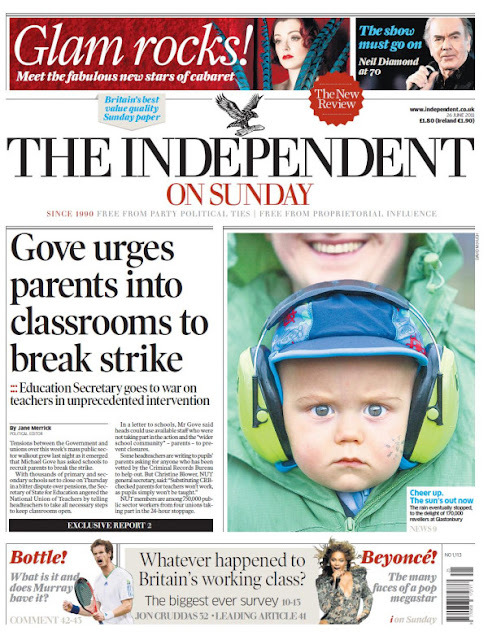 All the talk is of opportunity, social mobility and aspiration. 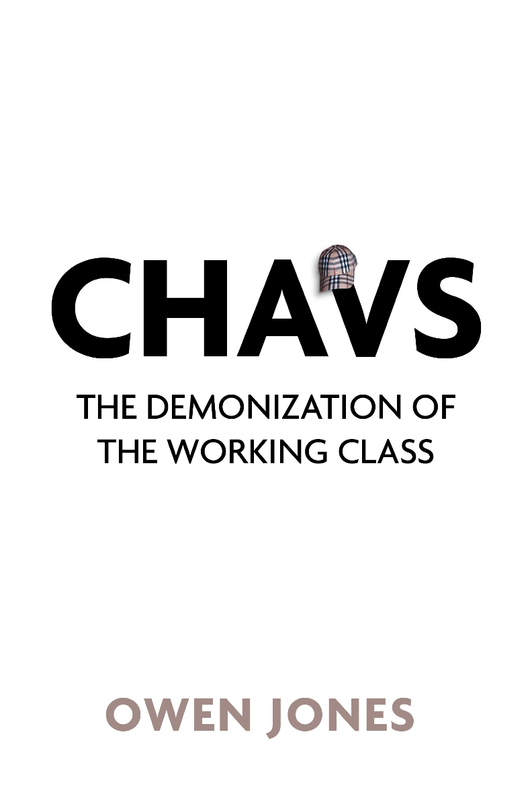 Towards the end of 'Chavs', there is an attempt at outlining the political consequences of recognising that class remains fundamental to our society and its injustices and inequalities. The socialist politics here is nothing radically novel, but its relevance is demonstrated countless times in the preceding chapters. I don't think every element of analysis in the closing chapters is correct. On four political issues there are problems. Firstly, the passages on the BNP give too much weight to working class support for the party, obscuring the fact that many BNP votes came from the middle class. There isn't any theoretical understanding of modern fascism underpinning this section. Secondly, Owen is right to see most 'identity politics' as a retreat from class, but he doesn't integrate racism, sexism and homophobia into a left-wing class-based analysis. Campaigns in these areas are deemed valid and necessary, but there's no sense they may be connected in some way with class (and, in turn, part of a broader political struggle). They remain autonomous spheres, separated from class. Thirdly, there's also a rather odd mis-representation of the Respect electoral project as a retreat from class politics. That's certainly not how most of us involved saw it. Respect was an explicitly socialist and class-based project, rather than the (Muslim) community-based initiative Owen suggests it was. It's true there were tensions in this regard, especially after Respect made electoral gains in east London and Birmingham. But Owen doesn't quite grasp the nature and dynamics of Respect, or the continuing importance of the left allying with (predominantly working-class) Muslims in opposition to both war and Islamophobia. Finally, Owen downplays 'international issues' - notably the anti-war movement - which are considered important but also seen as an alternative to 'class politics' for the left. This ignores the crucial fact that the mass opposition to war in Iraq - and resistance to New Labour's foreign policy generally - was an integral part of the crisis faced by Blairism, which also derived from failures on the domestic front. Political and economic issues were, and still are, intertwined. It was 'international issues' that really widened the 'democratic deficit' - that gulf between political elite and ordinary voters (and non-voters) - and sharpened the deep disenchantment with official politics. These differences, however, should not distract from the considerable merits and achievements of this important - and I'm pleased to say popular - book. 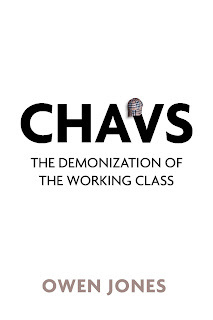 It is especially heartening to encounter left wing ideas being aired in the mainstream, and class being discussed seriously, prompted by the publication of 'Chavs'. This is, according to the editor of BBC Radio 4's What the Papers Say (via Twitter), the front page of tomorrow's Independent on Sunday. As public sector unions prepare for a day of coordinated strike action in defence of pensions on June 30th Alex Snowdon looks the state of the union movement. John Westmoreland recalls the first great working class movement - the campaign for political and social change in the 1830s and 1840s known as Chartism. He explains the vital political lessons it provides. Spanish people have taken to the streets in huge numbers with public squares occupied by protestors opposed to austerity and calling for real democracy. Alex Snowdon argues that this is the new shape of working class resistance. I've only just discovered the Gramsci's Grill blog, but I am adding it to my blog roll after reading this very thoughtful post: Counterforum - discussing the politics of resistance. It's a reflective piece about Saturday's Counterforum event in London, and some of the key themes we discussed. The paragraphs on Chris Bambery's contribution to the event, relating his comments on today's working class and rethinking/refreshing aspects of how Leninism works in practice, are especially interesting. After completing my current series of posts on the Leninist tradition and the need for revolutionary organisation, I hope to explore those issues on this blog. This is part 2 in a series outlining the case for revolutionary organisation. See the foot of this post for more. Lenin argued that revolutionaries must be more than merely good activists in a particular sphere, e.g. solid trade unionists fighting for better pay, but should be 'tribunes of the people' championing a range of causes, linking them together, and challenging exploitation and injustice wherever it may be. Every issue, every campaign, every act of resistance, is interconnected. Highlighting these connections, relentlessly promoting solidarity, forging links between groups - these are crucial tasks for revolutionaries. A revolutionary organisation, furthermore, is about (as Marx wrote) generalising from the historical and international experience of the working class. It is the memory of that class struggle. But more than that: events are never a simple repetition of history, so theoretical distillation of experience (not just the reciting of it) is essential. It is probably too grand to refer to a revolutionary group as a "university of the working class", but at least in microcosm that's precisely what it is. There are two constant tasks for any revolutionary organisation: to organise and to educate. These two processes inform each other. The world is constantly changing, so the lessons to be derived from our 'historical and international experience' are always evolving. Each new situation must be analysed in its own right, though the analytical tools and intellectual framework may be inherited. What matters is what Lenin called the concrete analysis of the concrete situation. Stale dogma is no guide to action. Marxist theory guiding concrete analysis is, however, invalauble in plotting next steps, in answering the "what is to be done" question. Constant interaction between theory and practice is essential. What about the interaction between revolutionaries and wider movements of resistance? A sectarian stands apart from partial struggles - such struggles don't go far enough, or involvement in them requires 'diluting' political purity. The opposite is also a danger: becoming absorbed in specific struggles without any bigger picture of the need to smash capitalism altogether and build a different kind of society. The alternative is to do two things simultaneously. The two interconnected poles of revolutionary organisation are political independence and participation in the broader class struggle. This is the basis of Leninism. It means building a politically independent organisation, grouping together those who are committed to socialism from below, while taking part in movements, campaigns and trade unions in their efforts to defend existing conditions from attack or win specific reforms. Revolutionaries' attitude to the unions can only be understood in this framework. It would be sectarian for a socialist group to distance itself from union organisation, which is vital for protecting workers against the ravages of an exploitative, profit-hungry system. Socialists take unions very seriously, and help build them, precisely because they bring together large numbers of working class people and - when they move into action - boost the confidence of our side to resist. Anything which increases working class combativity is welcome and important. Anything which wins even small reforms, especially if it is through workers' own activity, is a boost. Victories, however minor, provide hope and act as a spur to further action. Revolutionaries also recognise the limits of unions. They can win reforms but not end the system that breeds inequality, oppression and injustice. The same applies to all sorts of campaigns and protest movements. It is therefore necessary to maintain political and organisational independence. This recognition of two fixed, mutually reinforcing, poles - political and organisational independence combined with participation in broad-based struggles - is the starting point for developing any kind of united front strategy, i.e. working with reformists in coalitions and campaigns across a range of issues. A united front approach is the way out of the twin dangers of sectarianism and opportunism. The word 'vanguard', a military term meaning those in the front of the struggle or battle, is much-derided. Its use by the Leninist tradition is often viewed, perhaps understandably, as elitist. But the first thing to grasp is that what can loosely be termed a vanguard is inevitable in capitalist society. If there is uneven consciousness, with the vast majority of working class people (in non-revolutionary times) at least partially accepting dominant ideas, a small minority who reject capitalist ideas becomes an ideological vanguard. If the working class is uneven in how it resists the system, a practical vanguard will be formed. This is true whether or not they are gathered together in an organisation. Lenin's point is that it makes sense for these anti-capitalists - those who are ideologically and practically consistent in opposing the system - to form an organisation. Strategies, tactics and forms of organisation must be judged in relation to the current needs of the class and the movements. This can necessitate sharp breaks with old ways of doing things - a theme I'll return to in the final part of this series, on 'seizing the key link', after considering the controversial matter of democratic centralism, which is the topic for the next installment. Despite dominating western Europe in the 11th century by the 14th century Feudalism was faced with a crisis that generated a wave of revolutionary struggle. Neil Faulkner looks at the causes and outcomes. This is part of a series of posts on revolutionary organisation. See the introduction to this series. Capitalist society is full of contradictions. It is, for example, a society in which the ugly reality of poverty and inequality contradicts the enchanting rhetoric of fairness, equal opportunities and social mobility. There are contradictions at the heart of how the system works. Though a system of competition, capitalism depends upon people co-operating with each other to do the work necessary for it to function. Capitalism expands and transcends boundaries, yet nation states remain important for the ruling class. We live in an increasingly interconnected world, yet divisions of nationalism, racism and so on remain. One of the most important contradictions concerns the ideas we have about the world and ourselves. Marxists argue that society is divided into classes - a ruling class, which is a tiny minority, and a working class, which is the vast majority. It is in the interests of the great majority of people to make a revolution against a wealthy, powerful ruling class, seize control of the economy, and create a society based on radically different priorities. Indeed, Karl Marx insisted that the emancipation of the working class must be the act of the working class. Fundamental social change - moving from capitalist barbarism to a free socialist society - cannot be delivered from above. Working people must free themselves. There's a contradiction, though, between our material interests and the fact that - most of the time, in most places - we seem to be a long way from socialist revolution. There's a contradiction between Marx's self-emanciaption of the working class and another of Marx's observations - that the ruling ideas in any age are the ideas of the ruling class. The ruling class control the media, education system and other means of spreading their views, ensuring their ideas come to be seen as a kind of 'common sense'. Yet it is never, thankfully, as simple as that. Antonio Gramsci, the Italian revolutionary, referred to 'good sense' co-existing alongside this 'common sense'. He meant that ideas more in line with workers' material interests, and opposed to capitalist ideology, were also part of working class consciousness. It is self evident that there's a mix of different ideas and worldviews inside the working class. It's also true that an individual can have a set of complex, contradictory set of ideas inside their head. They may (for example) be impalcably opposed to public sector cuts but support the maintenance of the royal family, despite the monarchy being an institution that legitimises class priviliege and inequality. Consciousness is contradictory. It is uneven. This provides the starting point for discussing strategy and organisation for changing the world. Reformism is, in normal circumstances, dominant inside the working class movement. This finds organised expression in parties like this country's Labour Party, which is a reaction to the unambiguously ruling class politics of the Tories but also reflects the uneven consciousness of the working class. Some things are rejected; others are accepted. The Labour Party seeks to unite a broad spectrum of opinion within a single organisation. 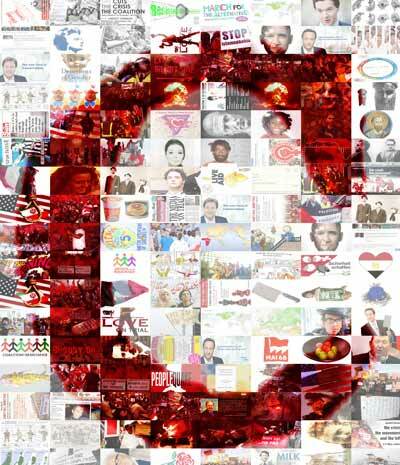 It also aims to reconcile opposition to many aspects of capitalism with that very system. Lenin called Labour a "capitalist workers' party" because it appeals to workers and largely reflects their ideas, but is nonetheless dedicated to managing capitalism and working within its restraints. Reformism isn't just about big social democratic parties like Labour. It is rooted in contradictory, uneven consciousness, and can find different expressions. When a new protest movement develops there are those who want to work within safe, established channels, or who insist on polite lobbying over direct confrontation. There will be those who seek compromise and negotiation, or who soften their demands. Revolutionary organisations take a different approach. A revolutionary organisation seeks to bind together those in a small (often tiny) minority who consistently reject capitalist ideas and have a revolutionary socialist outlook. This organised revolutionary minority is characterised by clairty and agreement on political ideas, by consistency in rejecting the contradictory positions generally held by reformist parties. This does not, however, mean rejecting the vast majority of working class people who look to the reformist organisations as an alternative to the ruling class and its political representatives. It is constantly necessary for revolutionaries to relate to broader layers and work together in joint political and campaigning activity, in trade union struggles, and so on. Revolutionaries fight for reforms alongside those influenced by reformist ideas. Those who characterise revolutionary groups as elitist or sectarian miss this vital element in what it means to be a revolutionary. It doesn't mean separating yourself off, to retain 'purity' of revolutionary commitment, but rather getting stuck into the struggle, being in the thick of it. Revolutionary organisations can decay when they weaken their politics and make compromises with dominant ideas. But they can also decay when they retreat into inglorious sectarian isolation, standing aloof from the partial but important resistance to the system involving many non-revolutionaries. One final point is worth noting in this opening post to the series. Revolutionary organisations can seem marginal most of the time, but in a revolutionary situation - and, as 2011 is demonstrating, these do happen - they can become critically important. An organisation built in advance, with roots in the wider movements and class, can play a decisive role when there is mass resistance and confrontations with the old order. We in Wisconsin are nearly two weeks into our struggle against Republican governor Scott Walker's union-busting bill and there are no signs either side is about to surrender. In these videos a leader of the newly formed Independent Union of Real Estate Tax Collectors speaks about the struggle to form independent unions and a speaker from the Centre for Socialist Studies speaks on the working class movement. Installing Andy Coulson as the ConDem's spin-doctor-in-chief was always a big risk. But then the Tories, like their City-dwelling compatriots, love to gamble. Laura Woods looks at the issue of abortion and how reproductive rights are central both to women's liberation and class politics. The national debt has become a mechanism by which international finance-capital disciplines the British ruling class. The bankers’ message is: protect profits and impose cuts or we sell British financial assets and create a Greek-style crisis of state solvency. We are told by the media and politicians that the concept of class is no longer relevant. Lindsey German argues that we cannot understand the current crisis without it. Free to read or download online, Chris Nineham's short book looks at the ideas of Georg Lukács the Hungarian revolutionary whose work explored the hold of capitalist ideas on workers' consciousness and how it could be broken. 'Luk√°cs’ 'Reification and the Class Consciousness of the Proletariat' is a disorganized but masterful essay written in the aftermath of the greatest revolution ever known. 1917 shook the entire world and all over the poor and oppressed were given a powerful impetus, not least because now history could no longer appear as a phantasmagoria, a nebulous and remote myriad of wishes, desires and policies shaped in the minds of Tsars or ministers and formalized in huge, fortified buildings which exclude the vast majority of humanity. Also, Chris Nineham's new little book on Lukacs - an introduction to his ideas - is now available, along with 'Strategy and tactics' by John Rees. See HERE for the order form. 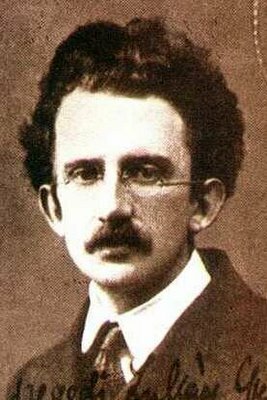 Georg Lukács made a large contribution to Marxist theory, but especially significant are the series of essays he wrote under the title History and Class Consciousness. Of these the crowning achievement remains the section Reification and the Class Consciousness of the Proletariat’. Neil Faulkner argues that every socialist, green activist, trade unionist, and anti-capitalist needs to see building mass action against the cuts as the central political priority. This week Neil Faulkner looks at the rise of the first ruling classes as the surplus created through the increasing productivity of human labour allowed a section of society to live without producing. Neil Faulkner argues that the attack on education represented by ‘free schools’ is one front of the class war launched by the Con-Dem government. When will someone make a film about the incredible life of Alexandra Kollontai? 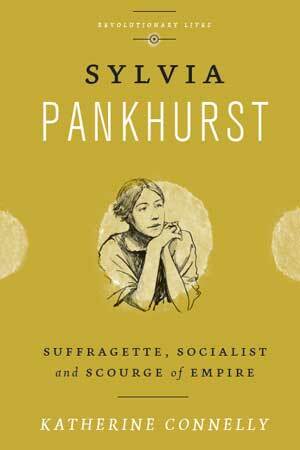 Born into a rich family, she rebelled with an 'unsuitable' marriage, was radicalised by visits to textile factories, became a political campaigner in the late 1890's and then left her husband and child to study Marxism in Europe. It is the Russian Revolution and its achievements that gives Lenin his place in history. But it is also the degradation of the original revolutionary spirit under Stalinism that largely accounts for Lenin's poor reputation, even on the left. As we enter an election campaign that may end thirteen years of New Labour government, Alex Snowden takes a look at Tony Cliff’s assessment of Labour's victory in 1997. Mephedrone, the latest legal high to hit Britain’s clubbing scene, is to be classified as a Class B drug within weeks and a ban on importation was put into force yesterday.